Congratulations, you’re having a baby! Time to maximize that small space nursery! 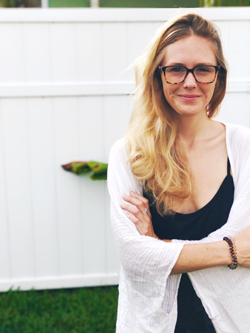 As a self-proclaimed amateur interior decorator, I’ll often find myself falling into a daydream full of furniture, art, knickknacks, and organization. Now that baby fever has biologically taken over my mind—for what I imagine will last until said baby is born—those daydreams involve more bassinets and fewer bar carts as the days pass. In my mind, I’ve designed a royal nursery for Meghan and Harry, a color-coordinated bedroom for triplets, and have imagined just about every configuration possible for the perfect baby closet system. The one that’s been the most fun to fill, though, has always been a smaller space. It could be because it so closely resembles the room of my own future offspring, or it could be the innate challenge of using space creatively—either way, the fun multiplies when you realize how many great products are out there that will make any dream nursery a full-blown reality. The three things to look out for? Clever storage solutions, multifunctioning furniture pieces, and space savers for the truly small space nursery. 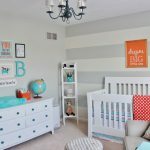 Below, I’ve compiled the best, most versatile furniture, storage, and room decor items that will hit all the right points and maximize every single inch of your baby’s nursery. 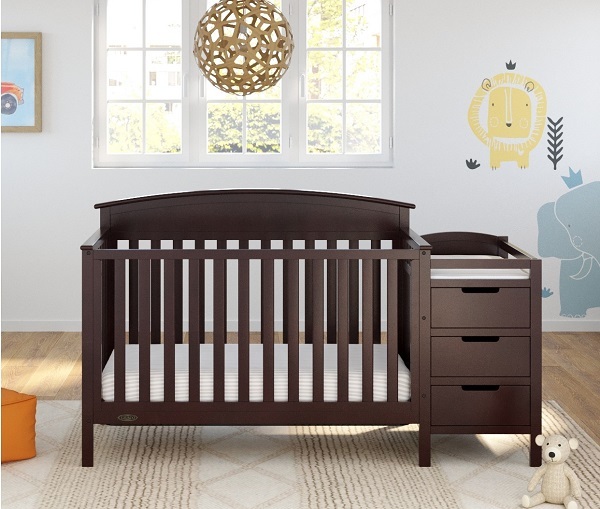 This 5-in-1 crib will go from small space nursery to big-kid room and beyond in a snap! To be honest, I didn’t even know it was possible to buy a crib with a changing table attached, so imagine my surprise when I learned that this somehow does even more than that! In addition to offering you added storage space with three roomy drawers, the bed itself serves as the frame for a crib, toddler bed, daybed or full size bed. Yes, you read that right—this crib transitions through your baby’s lifetime without a hitch! 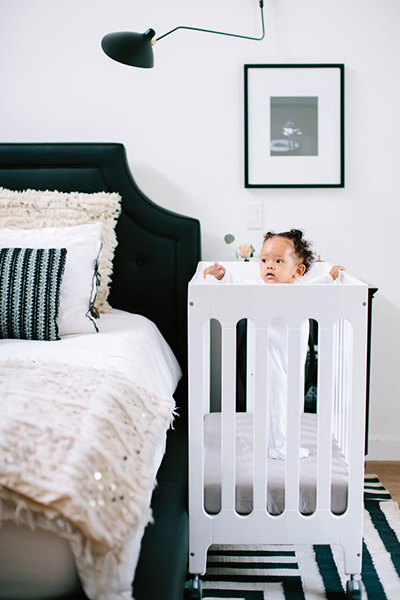 Collapsible cribs aren’t just for travel—they’re perfect for a small space nursery! Cribs have gotten a serious upgrade in the twenty-first century; it seems like designers are finally realizing that nurseries of all sizes still need a place for the baby to sleep! This mini crib sleeps up to twelve months—small but mighty, as they say—and folds away for easy storage when not in use. 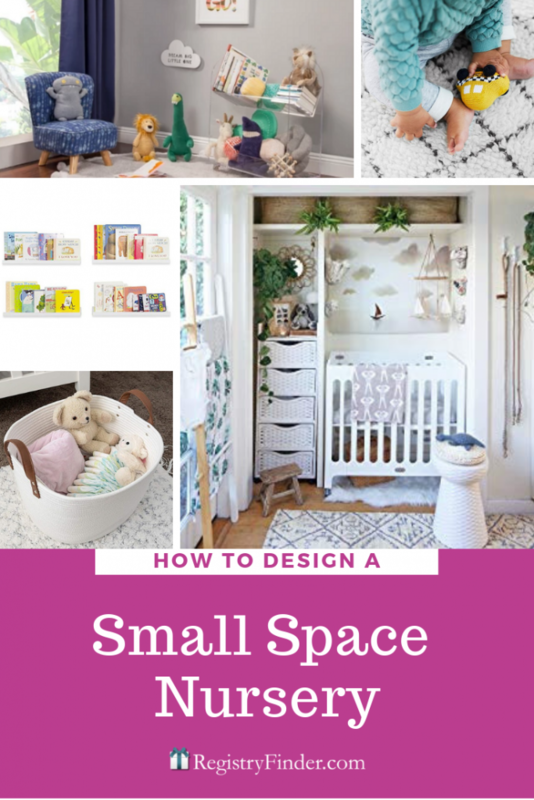 It’s a wonderful solution for anyone designing a small space nursery. Top any dresser with a changing table and you’ve just opened up a world of possibilities in your small space nursery! 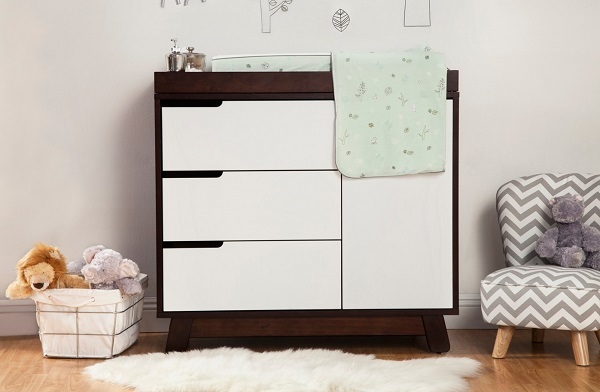 This changing table-dresser hybrid is especially useful if your baby’s nursery doesn’t have a closet, or has a very small one. The added side panel gives you just a bit more storage space, and it easily accommodates a small hamper or receptacle for dirty diapers. I love the simple, modern design that integrates with other styles while making a statement in a small space nursery. If you’re super cramped for space when designing a small space nursery, a changing tray is just the thing you need. For the super-small space nursery, it’s possible you don’t have space for a standalone changing table or dresser. Don’t worry—there’s still a solution! 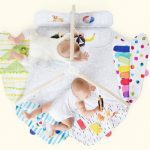 This universal changing tray comes with the pillow top and a plush cover for baby’s comfort, and it fits on almost all cribs whenever diapers need changing. Simply fits onto the rails when needed, stays out of the way when it’s not. 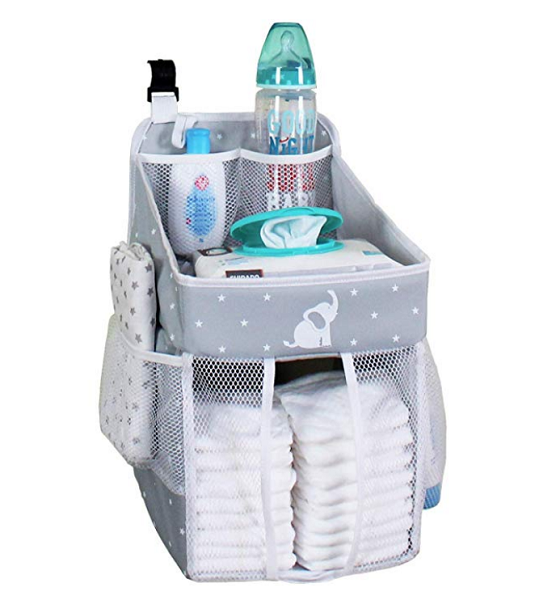 Save space and sanity with a handy diaper caddy that attaches to your baby’s crib or changing table in any small space nursery. Just because that changing table comes with built-in storage doesn’t mean you should stuff it with diapers! Free up valuable drawer or shelf space and make diaper changes a breeze with a caddy that attaches to the changing table or crib. It’s got a spot for everything you’ll need to make baby feel clean and comfortable, plus it packs up easily for travel—sounds like a no-brainer! Make any small space nursery look bigger with a light-colored area rug. Not only does a rug make any room infinitely cozier, but a light-colored area rug will make any small space nursery feel bigger. This high pile, super soft rug makes for a gentle and comfortable spot for tummy time, and the neutral color goes with any other decor you may have already picked out. Bonus: the wool is completely soil and stain resistant, making it a great choice for a nursery. A whimsical rug brings a touch of playfulness to your baby’s small space nursery. 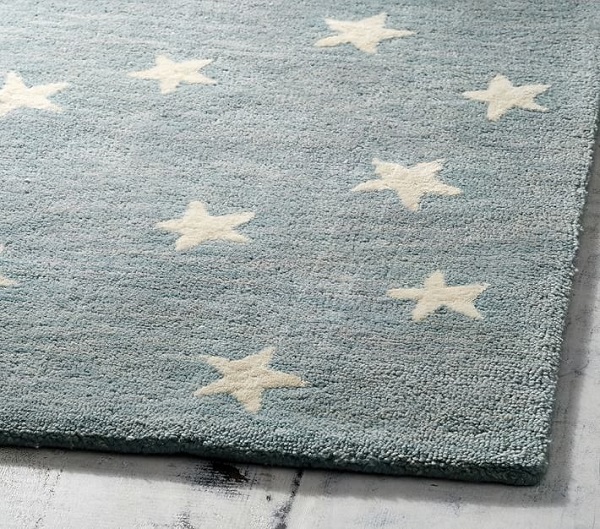 I love this dreamy star-spangled rug for a small space nursery, but really, for any nursery—it just makes you happy to look at. The gender-neutral design was created to be soft on the feet, so the floor space can become the most comfortable playground in town. A shag rug is the quintessential go-to for a plush texture, so consider adding one to your baby’s small space nursery. 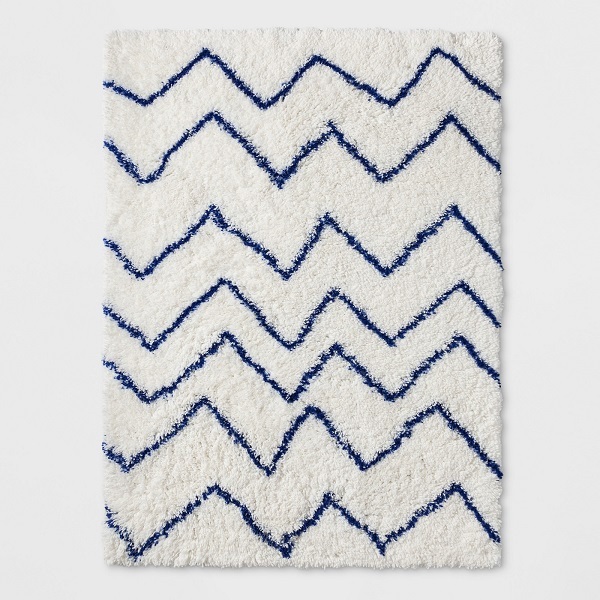 There’s something about walking on a shag rug that just feels luxurious, and this chevron-patterned rug is no exception. It comes in a variety of sizes to fit perfectly into your small space nursery, and the design offers a contemporary element to the room. A bookshelf with wheels means you can maneuver it out of the way when your small space nursery feels too cramped. 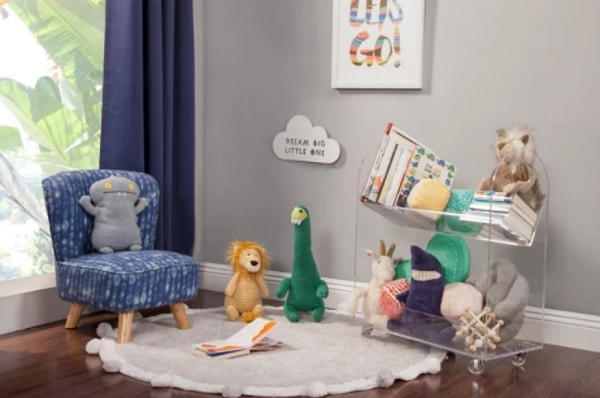 If you decide to put an acrylic bookcase in your small space nursery, you are a certifiable genius! What better way to keep books and toys displayed in the open without adding any bulk whatsoever? This bookcase and cart comes outfitted with wheels for easy mobility to make room wherever space is needed. 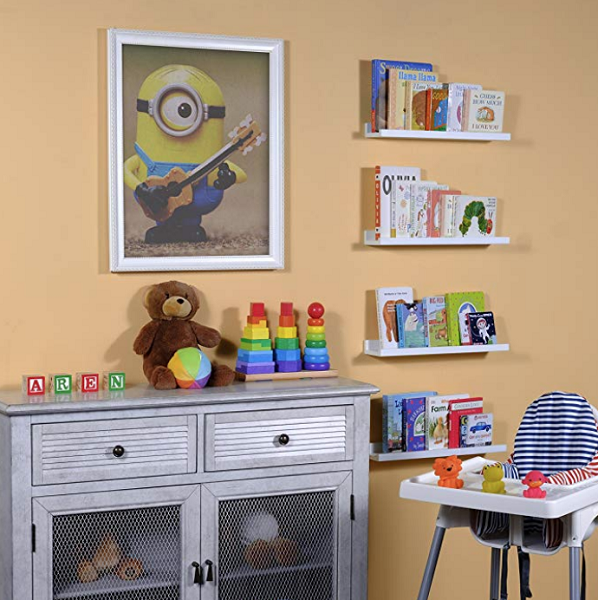 Floating shelves are a perfect way to use up open wall space in your baby’s small space nursery! Don’t have the luxury of empty floor space but still need someplace to display baby books and photos in your small space nursery? Floating shelves do just the trick without adding too much bulk to your baby’s bedroom walls. This versatile set of 4 is all you need to get started! 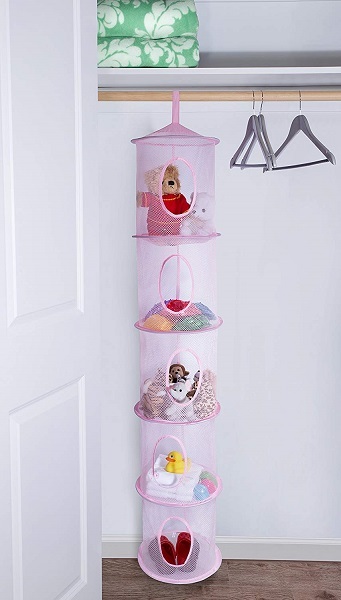 Free up floor or shelf space with a hanging mesh basket that is perfect for storing plush toys. I think just about every single one of my friends had one of these hanging above their beds when I was growing up, and when I saw it again recently, I knew it belonged in a small space nursery. The mesh net stays suspended wherever you choose to hang it (*cough* over another piece of furniture to maximize height), and it’s perfect for holding lightweight toys when it’s not time to play! No room for a bookshelf when designing a small space nursery? A flexible basket does just the trick! Personally, I love using big, flexible baskets as catchalls for everything from old magazine issues, book collections, and blankets. It seems like the same philosophy can easily apply when designing a small space nursery, so don’t write it off as an option if there’s no room for a full bookshelf. You can stash baby’s books, toys, bath towels, or whatever else you need a place for in this easy to move, pretty woven bin. Don’t underestimate the space-saving powers of velvet hangers in your baby’s small space nursery! There’s a good chance you already employ the full-sized version of these in your own closet, which means there’s a good chance you have experienced their wonders in full. 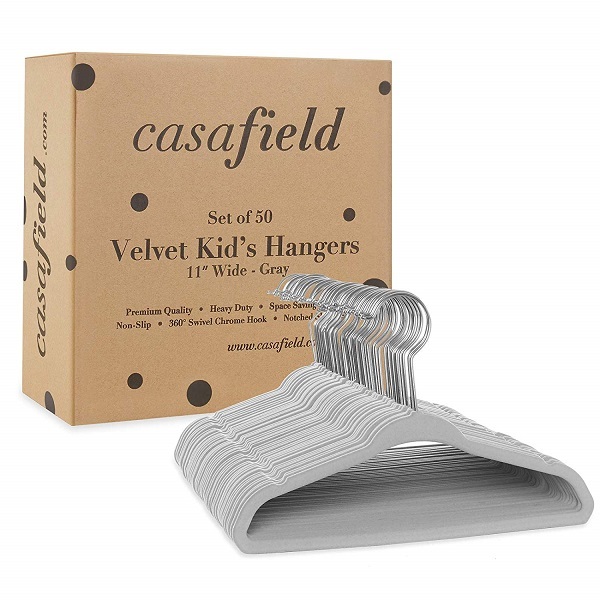 These slim, velvet-coated hangers are sized for baby’s close and truly maximize every inch of space in even the tiniest of closets. The texture means nothing slips off, so everything is always in its place. Height is your friend when it comes to designing a small space nursery—especially when it comes to the closet! 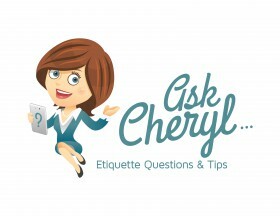 If you haven’t noticed yet, there’s a trend happening in this list: height-maximizing products. If your baby’s small space nursery happens to have a closet, a hanging cubby organizer is a great way to stow small toys, folded clothes, blankets, or any other miscellaneous items that need their own home. In any nursery, having a clear spot for every item makes keeping track of baby’s things a whole lot easier. 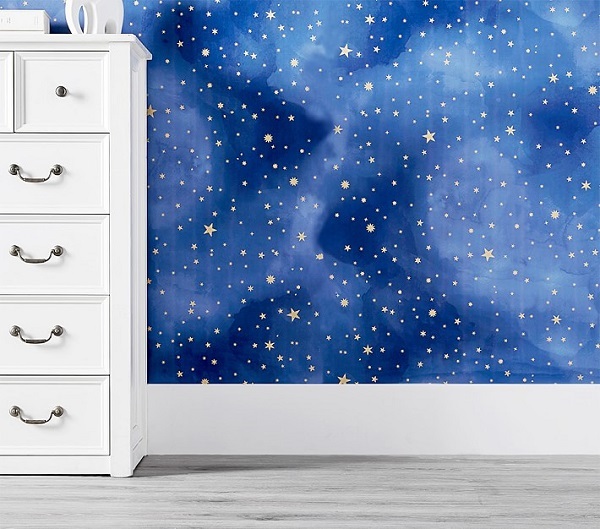 Wallpaper is a great way to make a statement without using up valuable wall space in your baby’s small space nursery. As we’ve learned, open walls are a huge benefit to a small space nursery, so there’s almost no point in cluttering it with too much decor. That said, wallpaper and decorative decals make a great alternative that makes a bright and fun statement. Pottery Barn has a great collection of both that will fit in seamlessly with your vision! This adorable over-the-door organizer is all you need to keep items orderly and in their place in a small space nursery. Whether your baby’s small space nursery has a closet or not, there’s a good chance there’s a door somewhere! 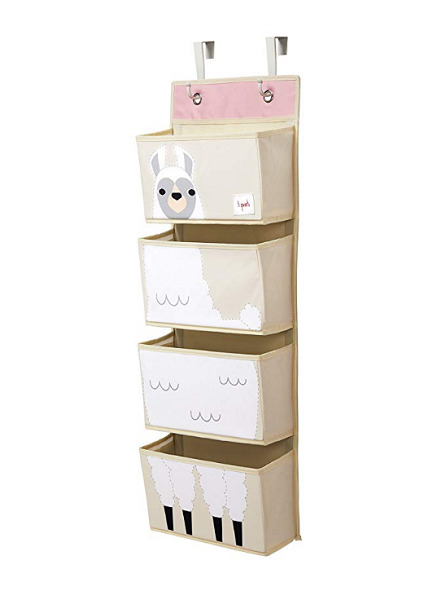 I love this over-the-door organizer with an adorable llama motif that’s perfectly playful. 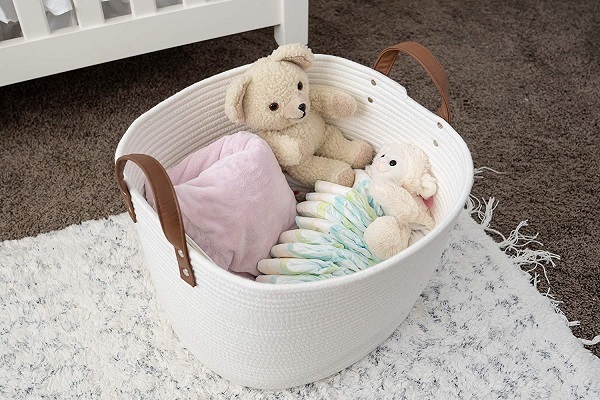 Its sturdy design means it can hold heavier items, but we all know that storage is generally a vital aspect to consider when designing your baby’s room, so stash whatever needs a home here! The most important thing to remember when designing a small space nursery is to be open to unexpected challenges and overcoming them with creative solutions. Your baby will feel right at home in their new cozy room, and you’ll have everything in its proper place—no matter the size of the space you’re working with.